Reblogging from Rochester author, C.H. Armstrong’s website. Enter to win a FREE ADVANCE COPY of her debut novel, The Edge of Nowhere. Yesterday I sent out a newsletter to my readers announcing a contest to win a FREE COPY of my book, The Edge of Nowhere in e-book format. Today, I’m announcing it to the world! A COFFEE MUG (SHOWN BELOW). 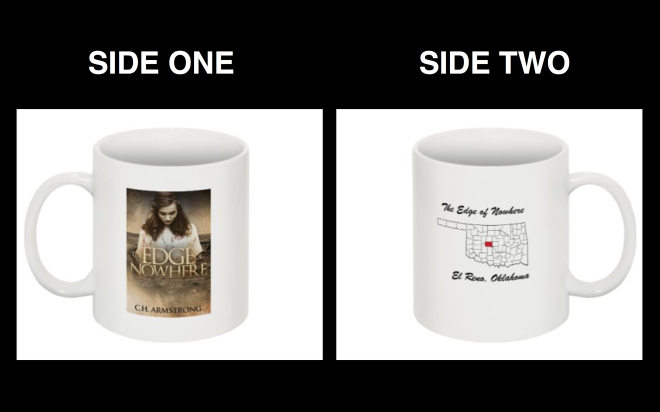 Now, since I realize all y’all don’t own e-readers (and some of you prefer “real books” in your hands), you’ll have a choice of EITHER an advance reader’s copy of THE EDGE OF NOWHERE in e-book format, or “The Edge of Nowhere Coffee Mug.” YOU DECIDE whether you’d prefer to enter the drawing for the free e-book OR the coffee mug! There is truly nothing I love more in a book than one that surprises me. 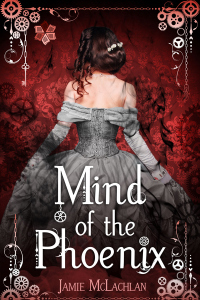 Late last night I finished Jamie McLachlan’s, Mind of the Phoenix, and to say that this book surprised me is a complete understatement. I was not only surprised, but very pleasantly so. Let me explain. Good morning! Today is Day Six of Banned Books Week, and I’m back with one of my favorite books of all time: The Grapes of Wrath! Of course I’d have to address this book! In fact, I’m sure you were expecting it. When my own book takes place in the same era and also addresses victims of the Dust Bowl, how could I possibly not shout out to Steinbeck, the Joad family, and all Okies out there?! Today marks Day Five of Banned Books Week, and how could we possibly come close to finishing out the week without commenting on one of the most well-loved and most-challenged author for several decades running: Judy Blume. If you were ever a child (and isn’t that every one of us), then Judy Blume’s name is at least familiar to you. She wrote the books that helped many of us get through adolescence. She was the adult in our lives who told us that our experiences were normal! She told us about the facts of life, and she told them to us straight. And we appreciated and loved her for it. But, for her efforts, she’s been one of the most challenged authors ever.